Leading Minds Executive Coaching engagements are customized to the unique needs of each client, but there is a general coaching sequence that is common across the board. The Leading Minds PITTA model provides an overarching framework for clients who seek a transformative coaching experience. Pause: The client enhances his or her capacity to slow down, breathe deeply, take stock of current circumstances, and become poised for well-considered next steps. Inquire: After pausing, the client works on asking himself or herself powerful questions (self-reflection) and asking others open-ended, thought provoking questions that can drive pivotal conversations (Active Inquiry). Target: The inquiry process positions the client to define areas for improvement and further development; in this phase, client and coach together create a targeted developmental action plan with specific goals and benchmarks for success. Transform: This is the implementation phase of coaching in which the action plan is enacted. Clients try out new cognitive and behavioral approaches. in the service of developing new leadership habits. Amplify: The newly evolved skills can apply across multiple situations of one’s work and personal lives. As the skills broaden, the client periodically loops back to phase 1 to reevaluate their results and ongoing usefulness. I think he has a nice interpersonal style, perhaps one that results from his clinical training. It can be a nice counterpoint to the often aggressive, extroverted nature many business people have. Having a neutral sounding board allows me to reflect on sensitive internal matters. David also helps me crystallize my thoughts without putting words in my mouth. 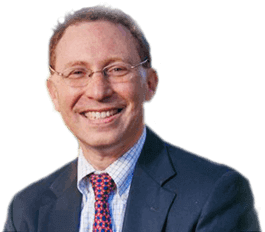 Dr. Brendel’s background in psychology, philosophy, and executive coaching enables him to approach his work from a number of different perspectives. He is flexible and participatory; he works with you to find pragmatic solutions that yield the best possible results. I have worked with thousands of top tier leadership and executive-level executive coaches over the past 15 years. David is in the top 1% of the coaches with whom I have worked. He is masterful in his approach. I am a female in-house attorney for a mid-size national corporation in the construction industry. I called on David to help me find my way in my role and to improve my relationships with my management, co-workers, and staff. He was the perfect coach for my needs.